The Denver Broncos secondary calls themselves the “No Fly Zone,” but if the front seven isn’t as good as it was last year, then the air ways might be a little more open in 2016. For the Broncos, that front seven consists of Von Miller, DeMarcus Ware and Derek Wolfe, amongst others, and they made opposing quarterbacks’ lives miserable last season. Even if they weren’t going up against one of the best secondaries in the NFL, they would have been hard-pressed to find an open receiver before getting smacked to the ground. If those players leave, or if their skills diminish, things can change quickly. A secondary, alone, cannot stop an offense in its tracks, and that’s why a guy like Von Miller is so important. That said, the Broncos’ secondary is about as good as it gets. Cornerbacks don’t simply go 36 games without giving up a touchdown reception, but that’s exactly what Chris Harris Jr. did over the last few seasons before getting beat by Antonio Brown against the Steelers in Week 15. 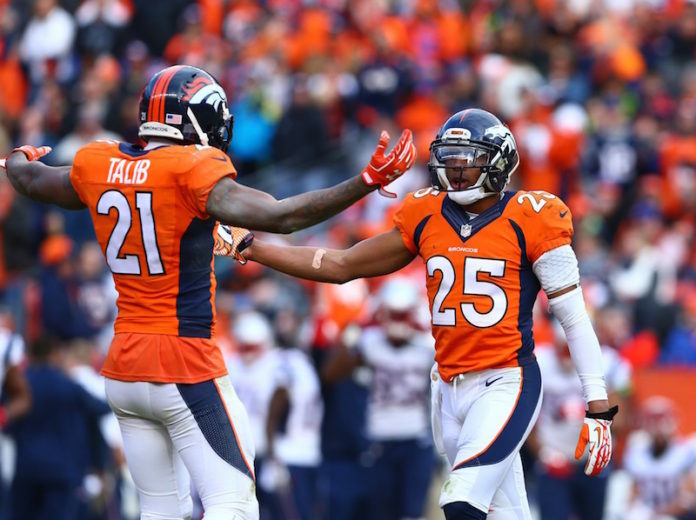 As a unit, the Denver defense led the NFL with 23 interceptions and was third in passes defended, with 99. Without those plays, the Broncos never would have been able to score enough points to keep up with their opponents. So, in a way, the case can also be made that the front seven never would have looked as good as they did without the “No Fly Zone” behind them. And in reality, both statements are correct; that’s why this defense is so great. Catch Afternoon Drive with Goodman and Shapiro every Monday through Friday from 4p-6p on Mile High Sports AM 1340 | FM 104.7 or stream live any time for the best coverage of Colorado sports from Denver’s biggest sports talk lineup.